Following the demission of our minister in April 2018, after a long period of poor health, we now find ourselves in a vacancy and are pleased to have been given permission to call a minister with unrestricted tenure. The current Presbytery Plan also allows for 1 OLM for the congregation. Our Parish Profile, which can be downloaded here, describes our congregation, our parish and our exciting vision for the future. 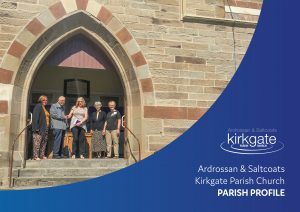 If you share our enthusiasm for the future of our church in Ardrossan and Saltcoats, then please get in touch with us.